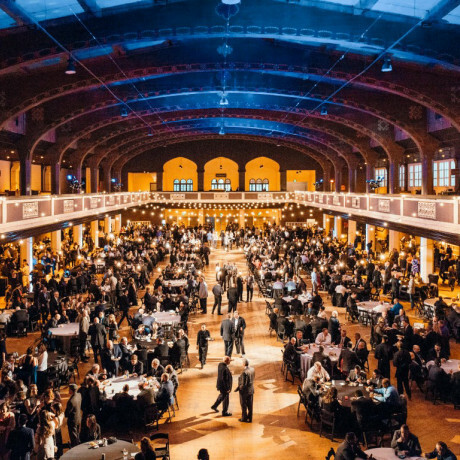 Wellp, it’s official, we’ve got cabin fever… and we have a feeling it might be contagious. 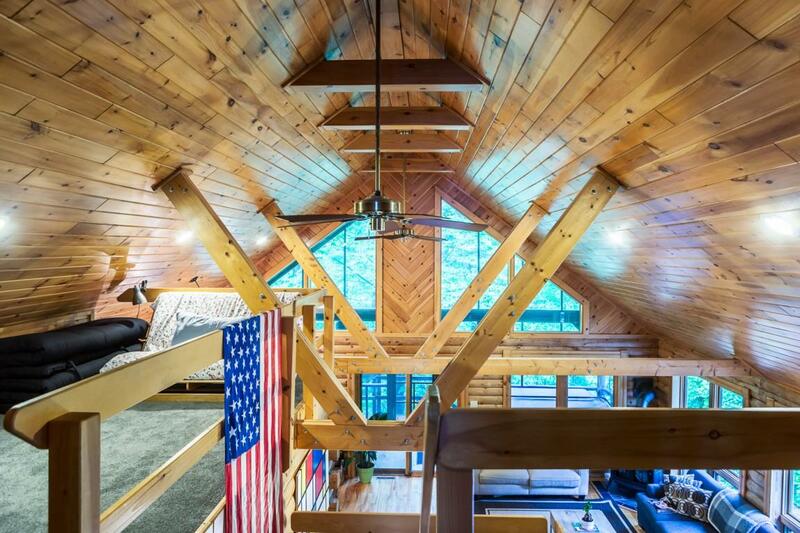 Though we're going beyond your average gatlinburg cabins or anything your uncle tom might consider worthy for that matter. 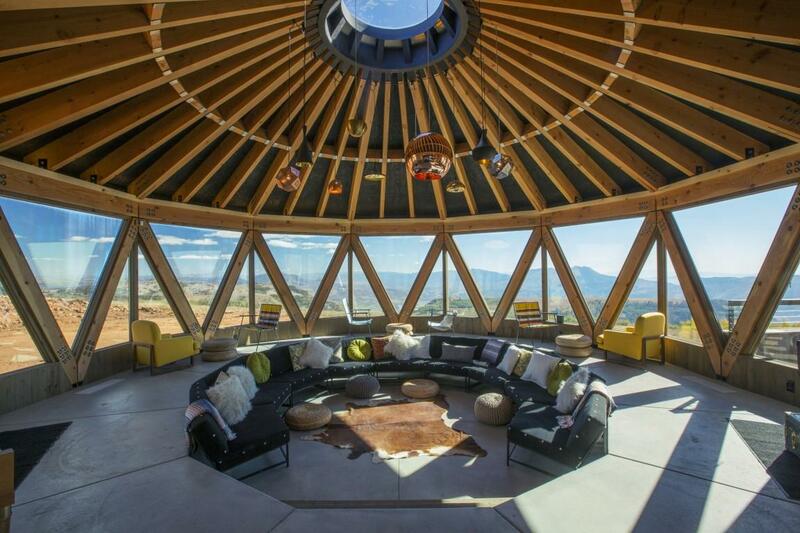 We’ve headed around the world to some of the hottest glamping, camping, treehouse-living, and yurt-worthy spots. 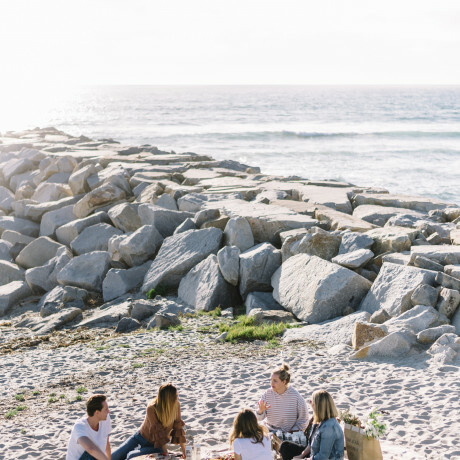 From the United Kingdom to some unique big bear cabin rentals, New South Wales to your very own log cabin homes, we’re bringing you some of our favorite places to disconnect from city life and get back on board with Mother Nature’s best hidden gems. It's no secret that we love a fast getaway & a nice place to stay. These travel lodges offer everything from high-end luxury to down-home goodness. From A-frame bungalows to classic country cabins, modern experimental living to cool rentals, we’ve done all the research so you don’t have to. Now all you need to do is book a room and let the fever warm you up. Located in Mt. 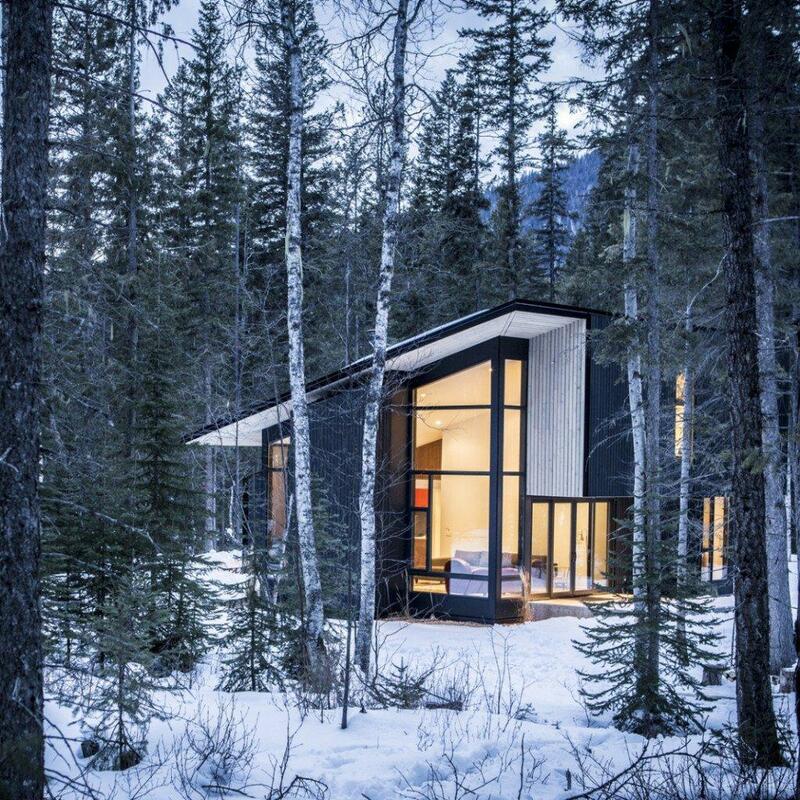 Baker-Snoqualmie National Forest in Washington, just minutes from the slopes at Steven's Pass, Tye Haus is a gorgeous glass cabin worth crushing on. 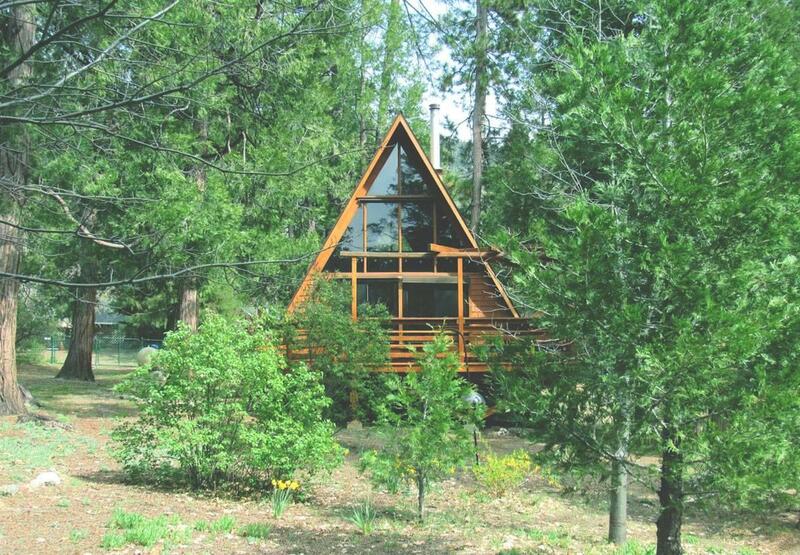 The A-frame bungalow is the perfect place to relax and decompress with up to six of your closest adventure loving buds. Bet you thought we’d only hand you wooded retreats in this cabin fever roundup. Alas, we throw you a curve ball. 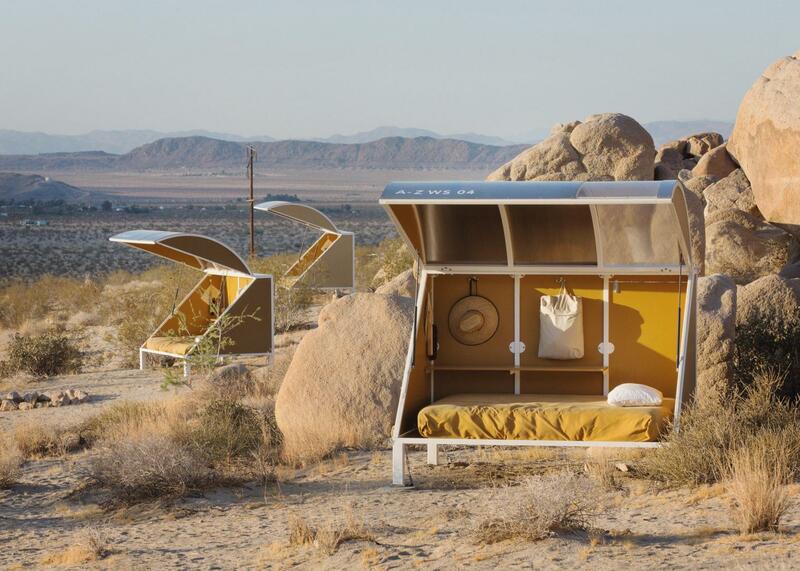 Nothing says cabin hot spot like an experimental living setup deep in the Mojave Desert. These rad modern bungalows are almost too cool for school. 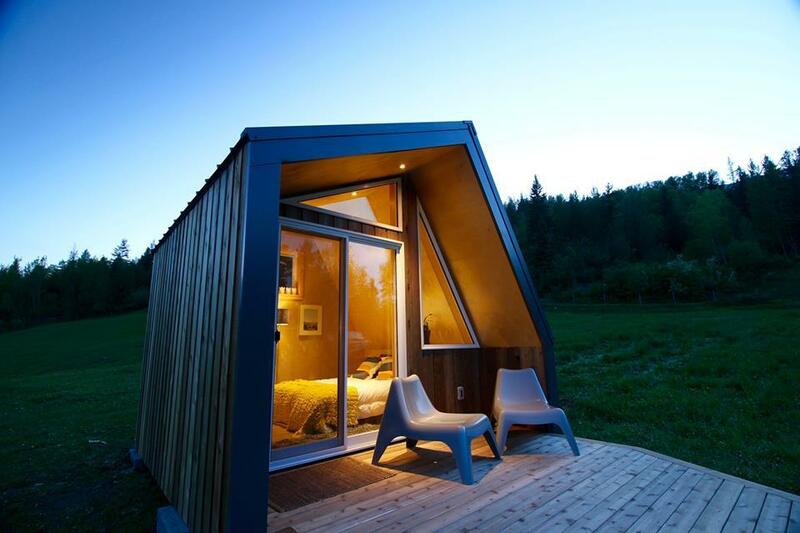 Imagine the stars you’ll be seeing at night out here? That’s the connection to nature we’re talkin’ ‘bout. 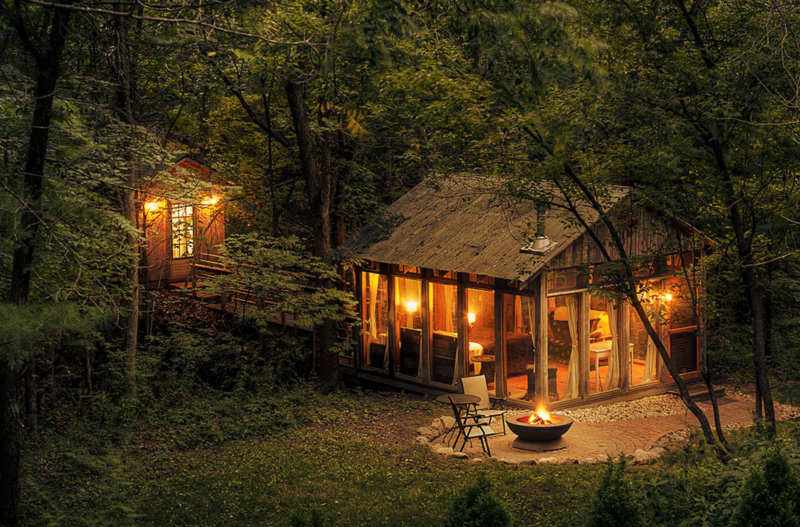 It’s cozy comfort that’s as simple as it is stylish, and your Getaway House of choice awaits you in a secret forest. As if the tranquility of the rural northeast wasn’t enough, the three tiny cabins outside of Boston are each tenderly named for beloved grandmothers. Their warm, generous energies are hopefully and gleefully relived in the cabins, each of which sit beneath open sky, surrounded by trees. 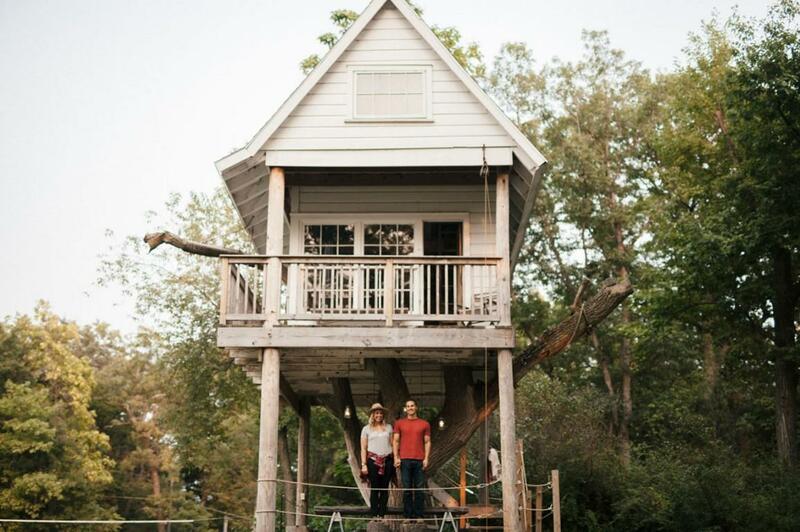 This two story cabin meets treehouse is summer camp #goals. Design lovers, the interiors here are designed for a well-styled vacay to rival The Parent Trap's Camp Walden for Girls. 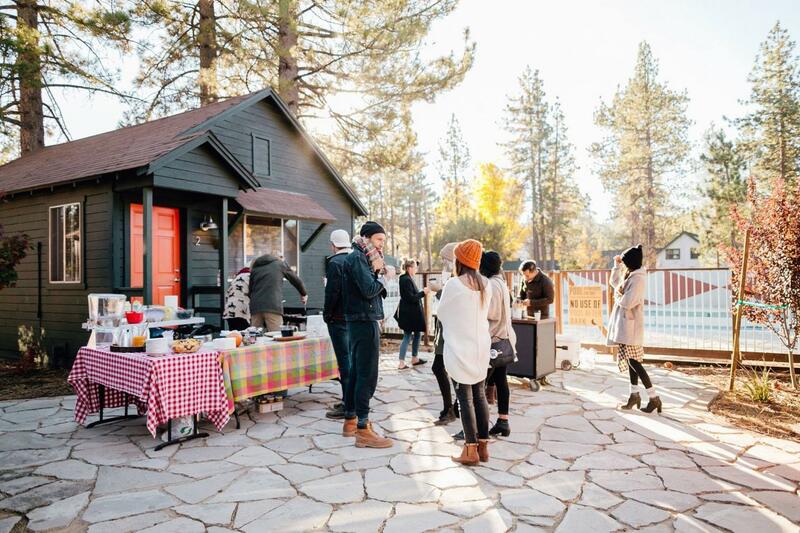 Grab your crew and head to this sweet spot for lakeside lounging, outdoor activities, and summer camp snacks. 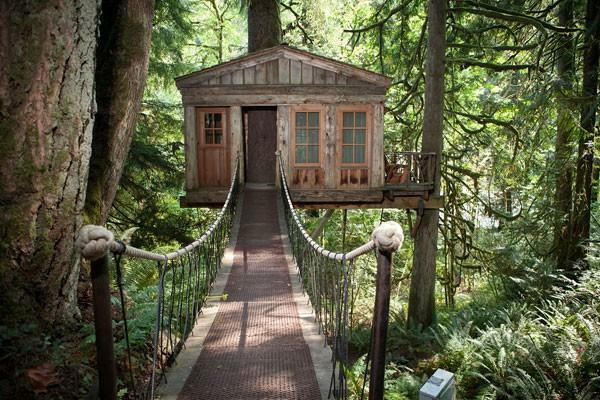 This little enclave of tree houses in the woods of Washington throws our cabin fever into triple digits. With a river, waterfalls, and plenty of forest to explore, there’s no shortage of nature at your back door. 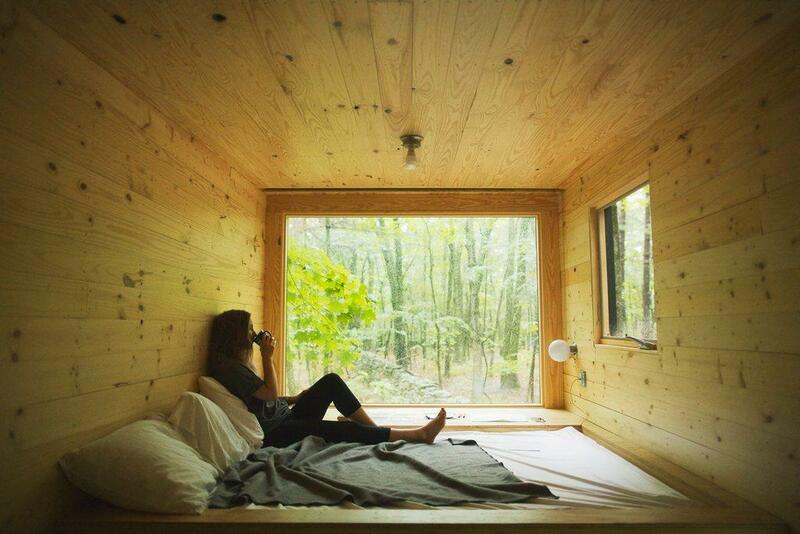 This lush setting is sure to surpass your wildest childhood fantasies of what living in a treehouse would really be like. 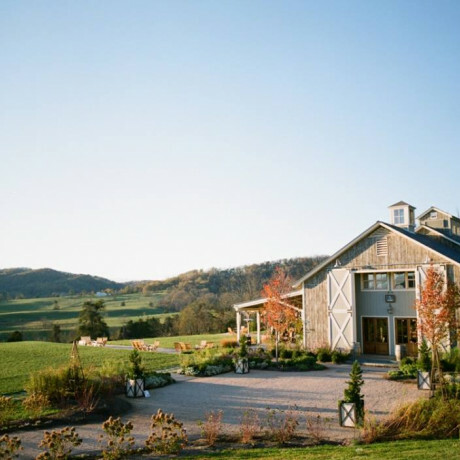 Nestled between Eden and Summit Mountain is this perch of luxury cottages with epic views. Cabin fever would be real hard to kick during a stay here. There are loads of gathering spots here too, so a group getaway might be in order for your cabin-crazed crew. 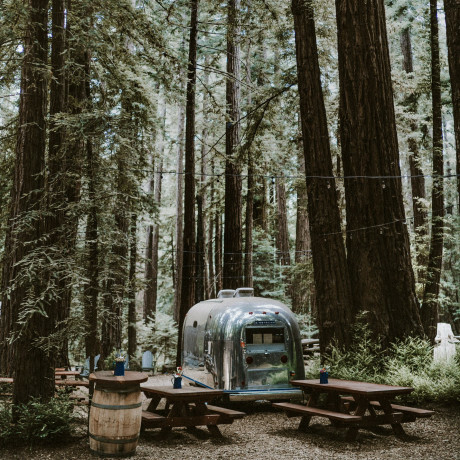 In the serene woods of New York, where thin trees weave a lush green canopy with sunlight breaking through, sits three tiny getaways that are as retro as they are futuristic; each with contemporary wooden interiors, each with total solace, each with a different purpose. Smaller in size, each of the six getaways have a heater, a queen bed, a shower, an electric toilet, a full-size sink, kitchen utensils, pots and pans, and a two-burner stove. 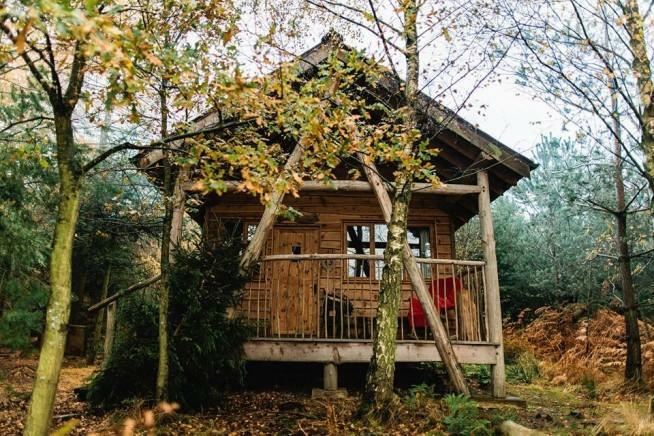 Cabins this cozy look more like the kind you’d find deep in the woods of Vermont than we’ve come to expect in the UK, but this North Yorkshire getaway spot is one of the best cabin finds we’ve spotted to date. Part of the 20,000 acre Swinton Estate, Swinton Bivouac has glamping yurts, a bunk barn, and log cabins. We’re not sure what’s hotter – the wood-fired hot tubs or our cabin fever right now. 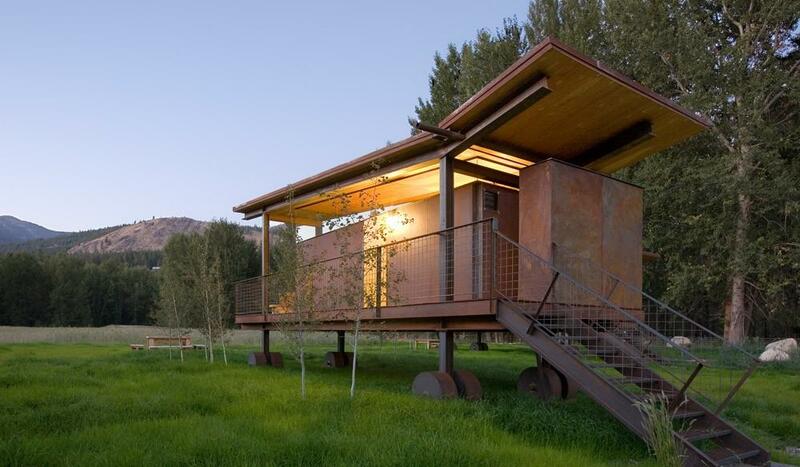 Cabins in the woods aren’t often thought of as being cool and modern, but Far Meadow is ahead of the curve. 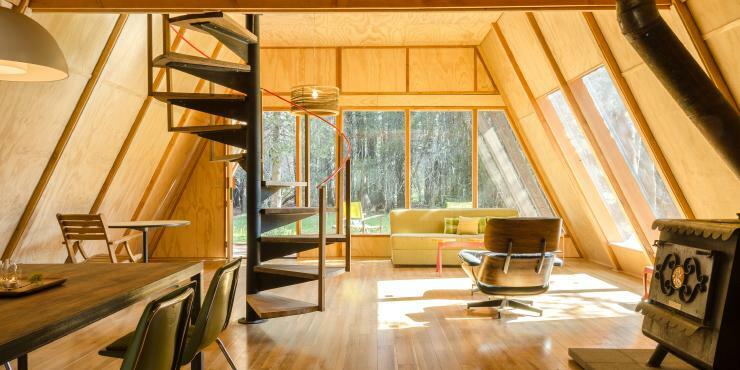 These A-frame window-walled beauties are some of the most chic cabins we’ve seen, complete with Eames chairs and everything. Head out to Yosemite to check these woodsy stunners off the cabin fever hot list. 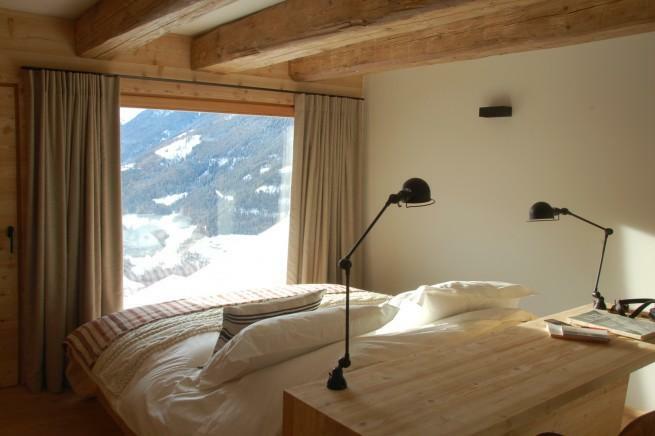 The floor-to-ceiling windows at these mountain cabins perfectly frame the snow covered Swiss Alps out back. Set in an ancient village, the 6 formerly abandoned barns at Montagne Alternative have had new life breathed into them with gorgeous modern furnishings and incredible views of the outdoors. You can find us cuddled up inside, sipping on hot cocoa and soaking up the views from bed. 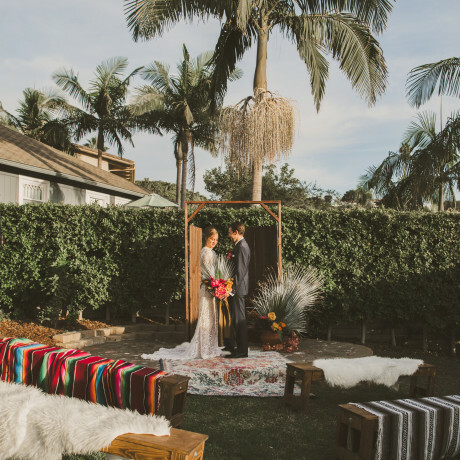 Alright Californians, we know you want in on this cabin fever scenario. Check out this little enclave of fully modernized 1950s bungalows in Mallard Bay. 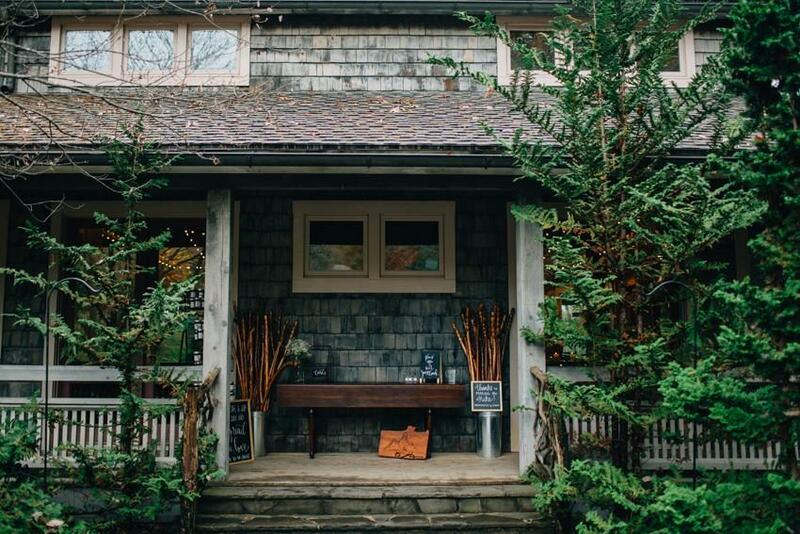 Noon Lodge has it all figured out for us design lovers, with a cute boutique hotel vibe in the middle of way too many (slash never really enough) trees. 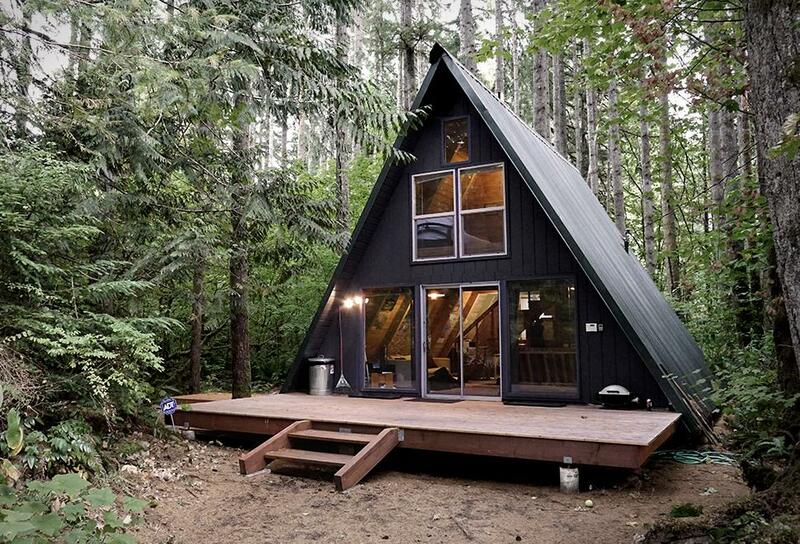 A-frame bungalows are all the rage right now and this 1960s vacation cabin is on point. This Mt. San Jacinto destination is a great weekend getaway for a crew of about six peeps who are stoked to spend a few days hiking and hanging. 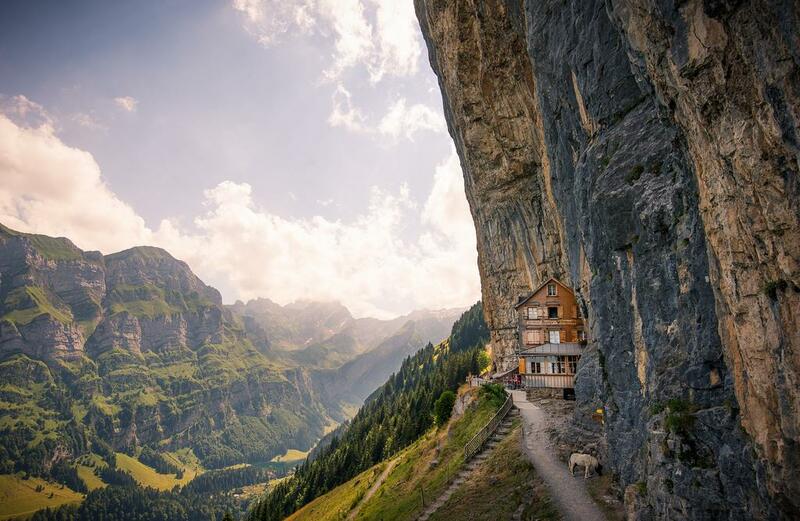 Hiking through Swiss Alps and a series of caves will eventually land you at the top of this insanely gorgeous mountain perch that we can only really give you the location of in latitude and longitude coordinates, but we have a feeling you’ll forgive us for that when you see this breathtaking mountain guesthouse. It’s everything your cabin fevered heart desires! 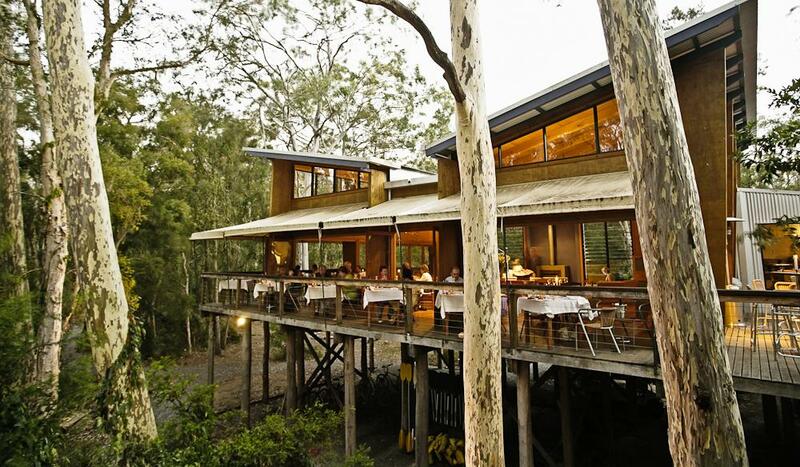 Located just near Jervis Bay, this Australian glamping outpost has a little bit of everything you’re looking for in a weekend getaway outside Sydney or Canberra (it’s 2.5 hours from each). You can opt to hang on the beaches nearby or hike around the bush. Though, we should warn, the cabins at Paperbark Camp are so gorgeous you probably won’t want to leave the warm cocoon of your room. 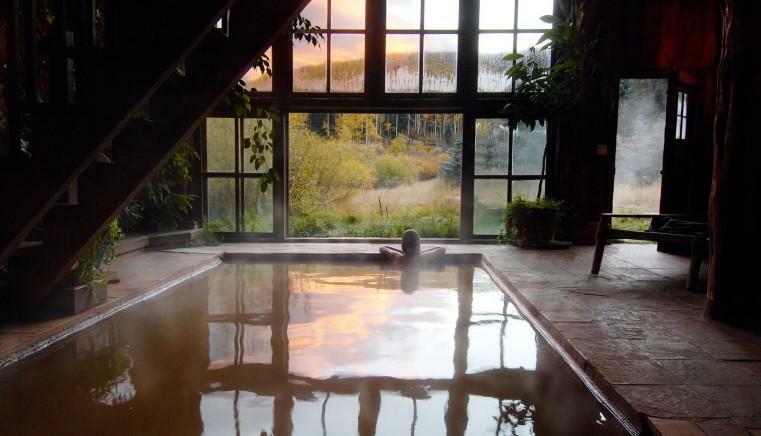 Nestled up in the Colorado Rockies, Dunton Hot Springs is a perfect spot to reconnect with nature while still living a life of luxury. Proudly touting a “romantic ghost town” vibe, this Alpine Valley resort is a gorgeous, stylish cabin haven that’s amazing for reconnecting with nature and your boo. The best part? There’s a massive indoor pool that’s fed by the hot springs. 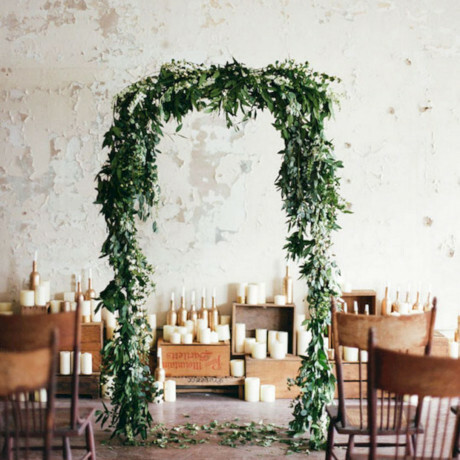 If it’s cabin fever that ails you, we’ve finally found the ultimate solution so you can bring the cabin to your neck of the woods. 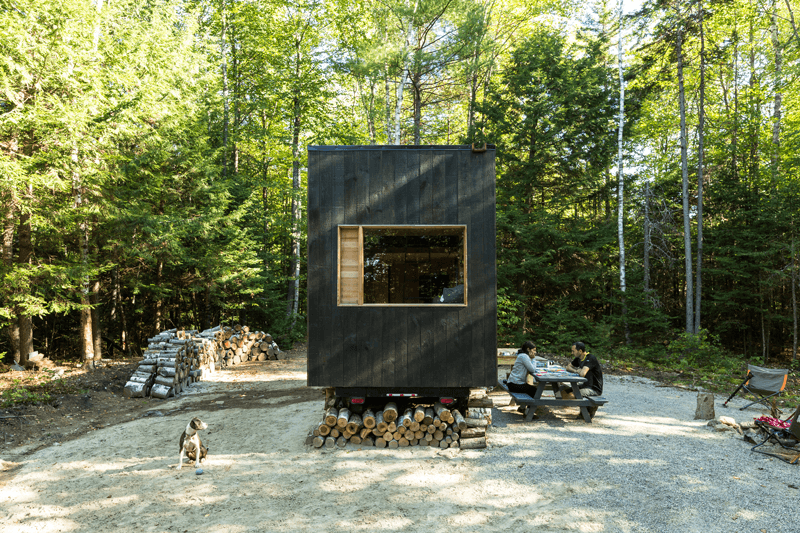 The Little Cabin Company will literally drop a cabin wherever you need one, so long as you’ve got about 12x12 feet of flat land, you can customize your own little pop-up hut. With winter well on its way, an escape to the Hudson River is a must for you New York City folk out there. Check out The Brampton if you’re looking for a secluded lodge to share your cabin fever with a group of your best friends. We can practically hear you cracking open your beer cans now. Washington’s Methow Valley needs to be on your hiking, exploring, countryside-rolling bucket list. This collection of cabins in the hills ranges from cool glass and wood bungalows to sweet canvas yurts. 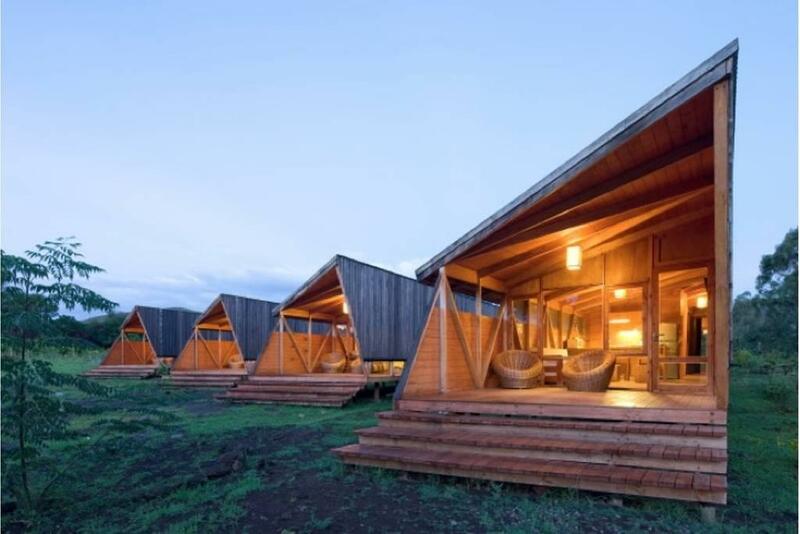 When that cabin fever comes knocking, we go rolling to these huts. 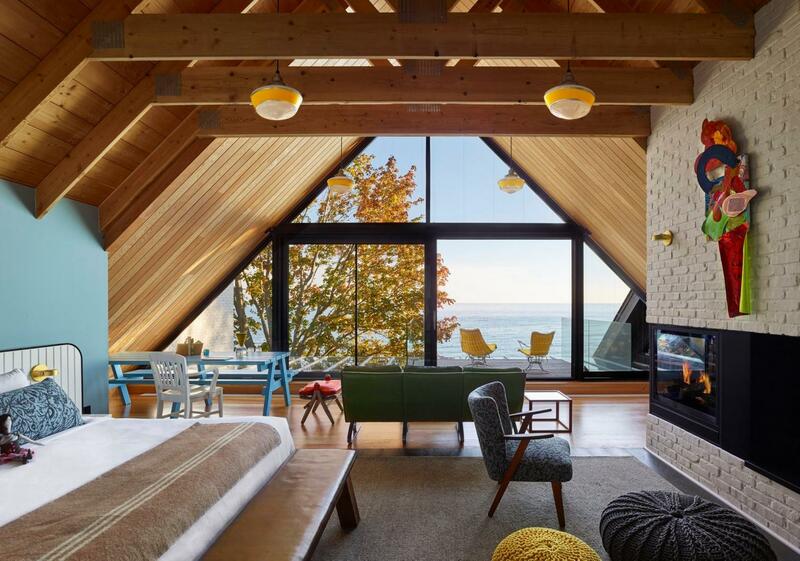 We thought we knew Canadian cool... then we found the Drake Devonshire. 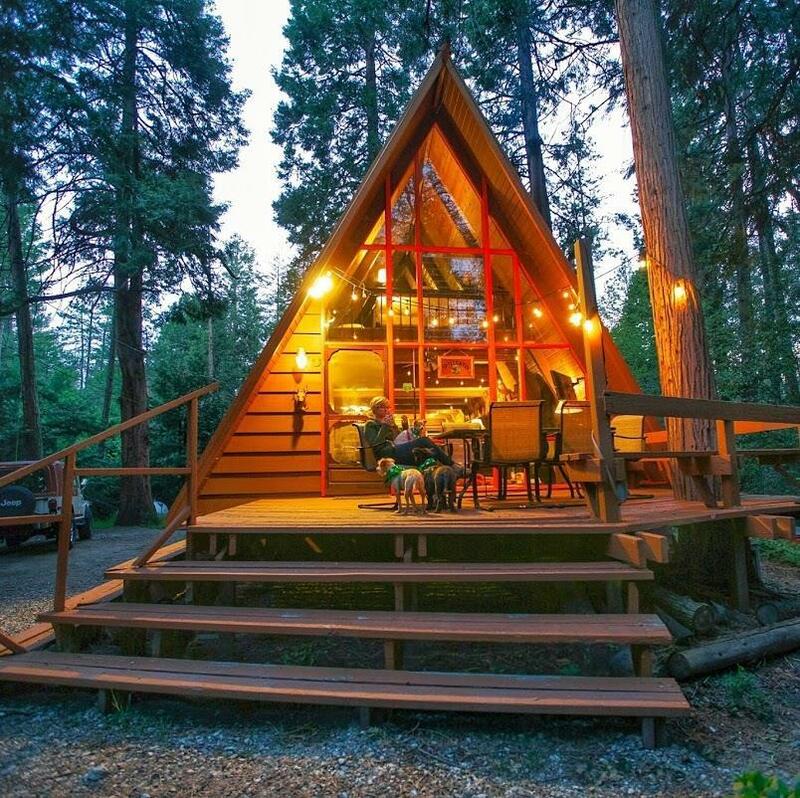 Lakeside cabin vibes with A-frame dining rooms make for one cool getaway by the lake. 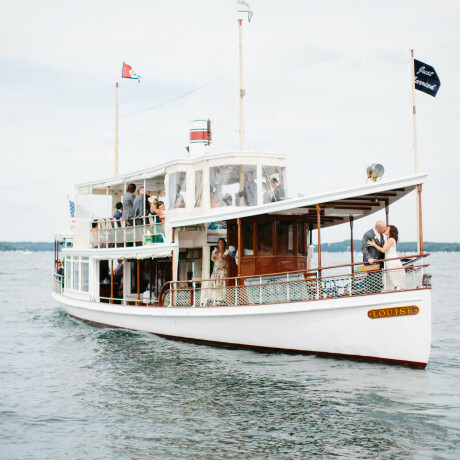 Gather your guys and girls for a getaway, birthday party or holiday soiree. 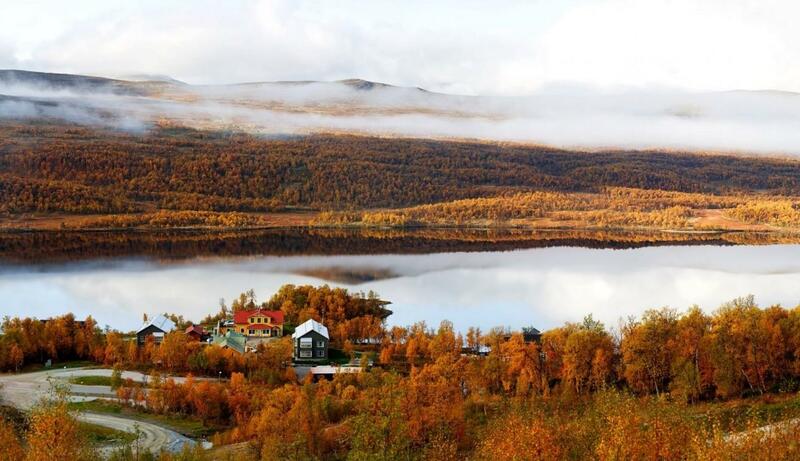 Betcha didn't think we’d leave beautiful Sweden in the dust with this cabin fever round-up. Established in 1882, Fjällnäs is like the OG of big-windowed cabins in the mountains. The only tough decision to make about staying here is whether to go during a white wonderland winter or fabulous foliage fall. 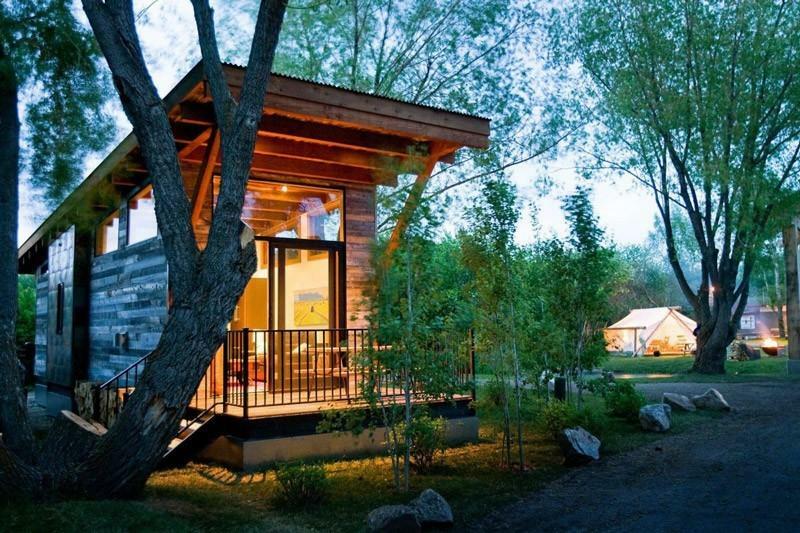 Staying at one of these rolling wedge cabins gives you the opportunity to embrace the good life of Jackson Hole's first nature lodging experience. These cabins combine rustic and modern design for simplified luxury, so it has everything you want without overdoing it. With two small lodges tucked into the woods in Georgia, Splendor Mountain isn’t the kind of place you’ll see plastered across travel magazines. And that’s what we love about it. It’s peaceful and serene, and not your everyday getaway resort. 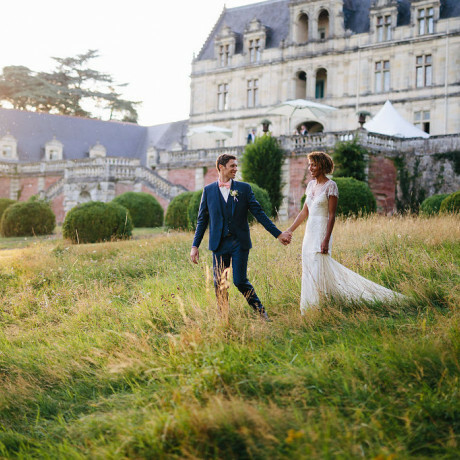 A wedding here would be all that and then some, with all the privacy you’re looking for. 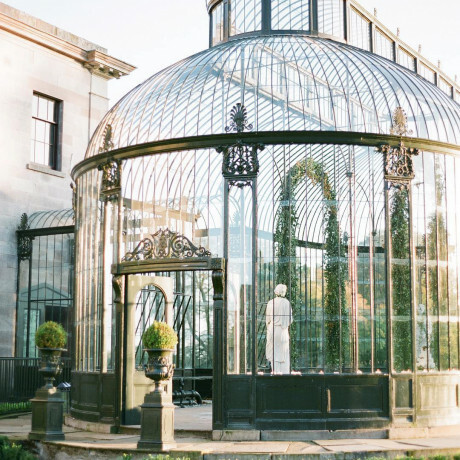 A glass cabin?! YES! If you are looking to reconnect with nature, this is the get-a-way experience for you. Glass walls give you a panoramic views and take a short walk across a super cool bridge to the mini cabin that has a full bath and kitchenette. Truly an unforgettable experience! Oh yea, there is also a outdoor fire pit. The cabin is only open from April - Nov so hurry and book for next spring. 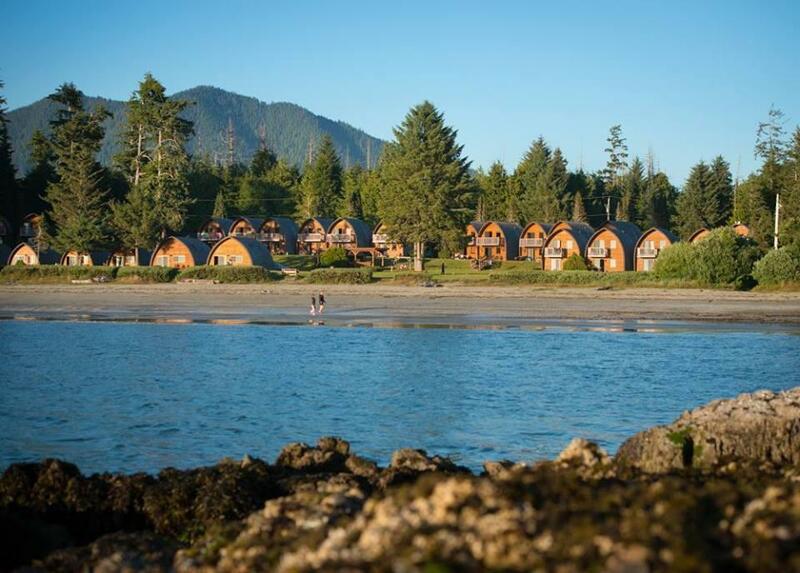 Located on the edge of Pacific Rim National Park’s MacKenzie Beach, this little enclave of beach cabanas is totally worthy of our cabin fever affection. It takes about two hours on ferry to get to this isolated spot and it’s every bit worth the trek. 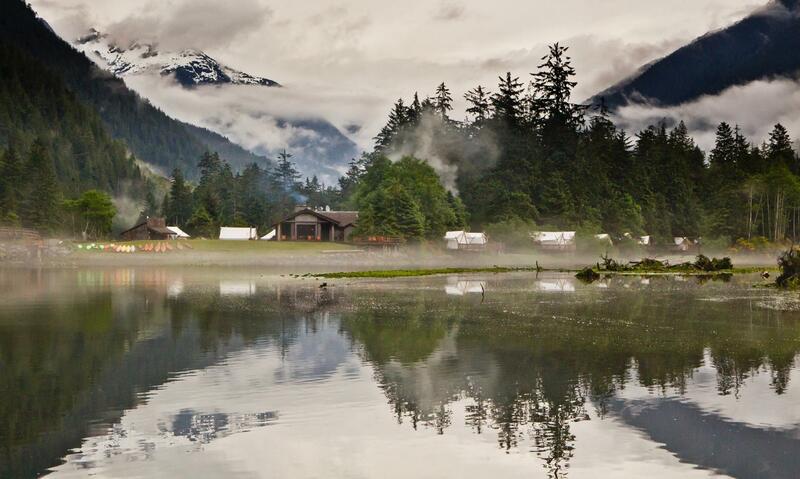 Go on a wilderness safari, lounge in a cabin and cuddle up next to the fire at Clayoquot Wilderness Resort. 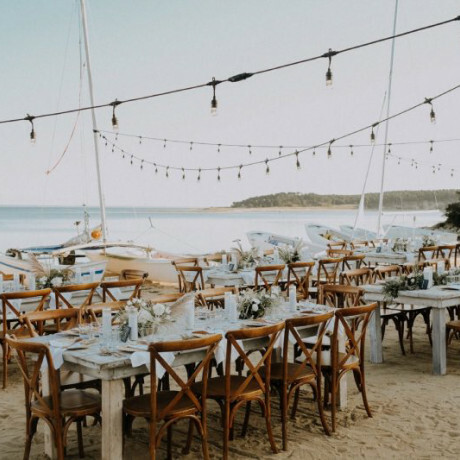 Feast on five star cuisine, go on adventures, hiking, and sleep in a great white tents with fluffy duvets and antiques at the end of the day. So you’ve got cabin fever, but you prefer to keep it glam? 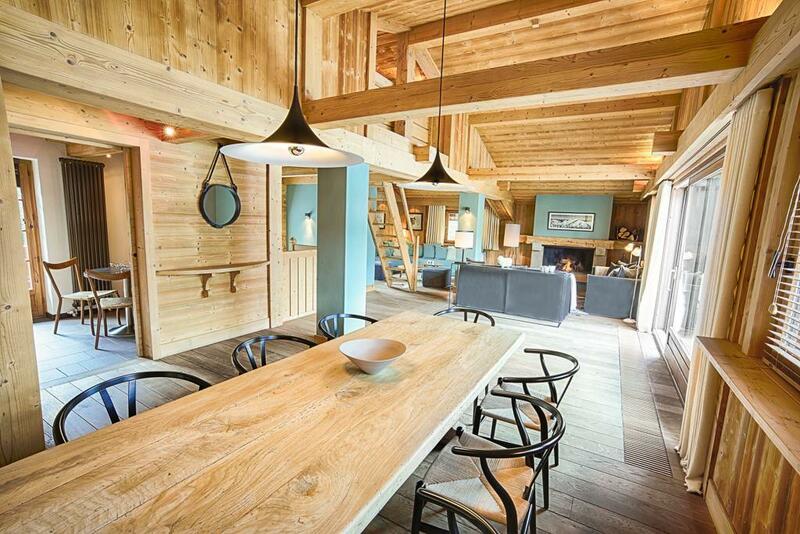 Check out these stunning chalets that snuggle up to Mont-Blanc in Megève. About as luxurious as a ski weekend can get, France gets it right and Hotel Alpaga is el packin’ the heat amidst the snow covered mountains. A self-proclaimed “Arctic Resort,” Kakslauttanen isn’t afraid to tout its wintery surrounds. 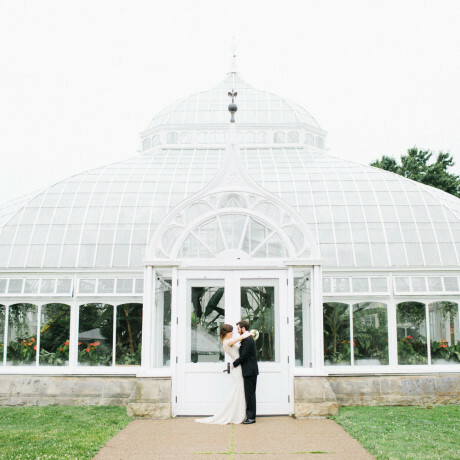 Check out this spot if you’re into igloos, log cabins, and glass domes. Oh, and by the way, you can see the Northern Lights from your glass domed cabin. NBD. We’re beginning to think that ranch life may be the best life. 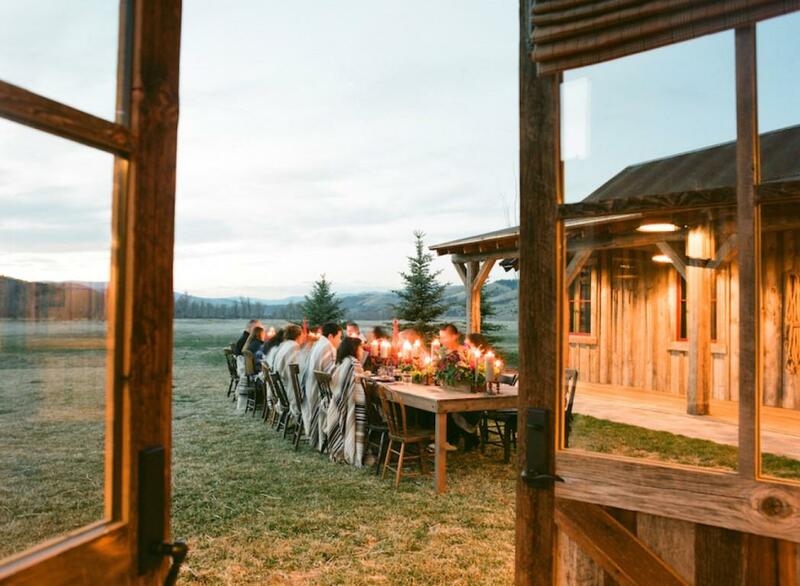 This Montana dream destination has all the qualities we’d be looking for in a cabin fever worthy escape: incredible views of this vibrant valley, five-star luxury cottages that are just rustic enough, and saddle seats at the bar. Score! 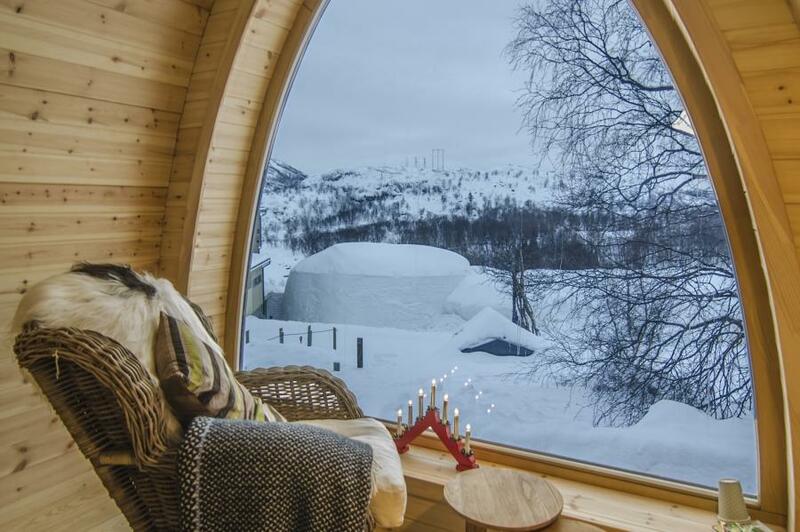 Snow hotels around the world wish they could be as cool as Kirkenes. 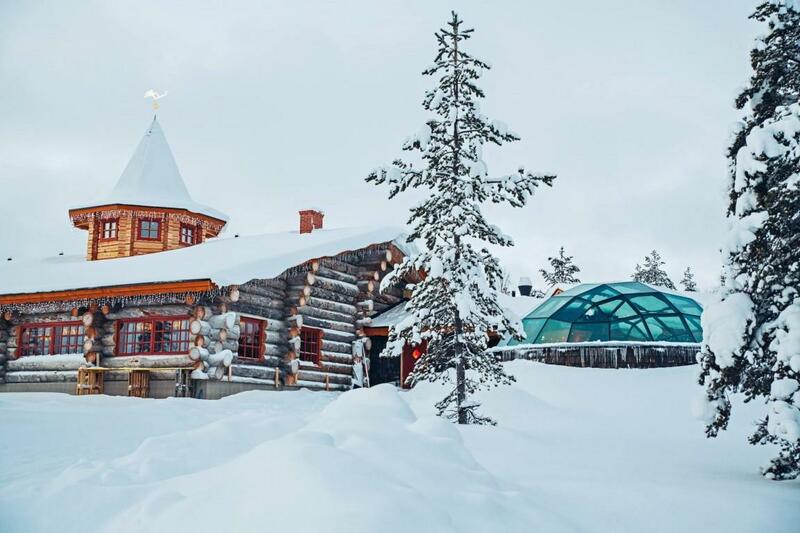 The dome-like huts on this property have big glass windows that look right out onto the snowy surroundings where you can opt in for husky trips, ice fishing, Northern Lights tours, and snowmobile trips. 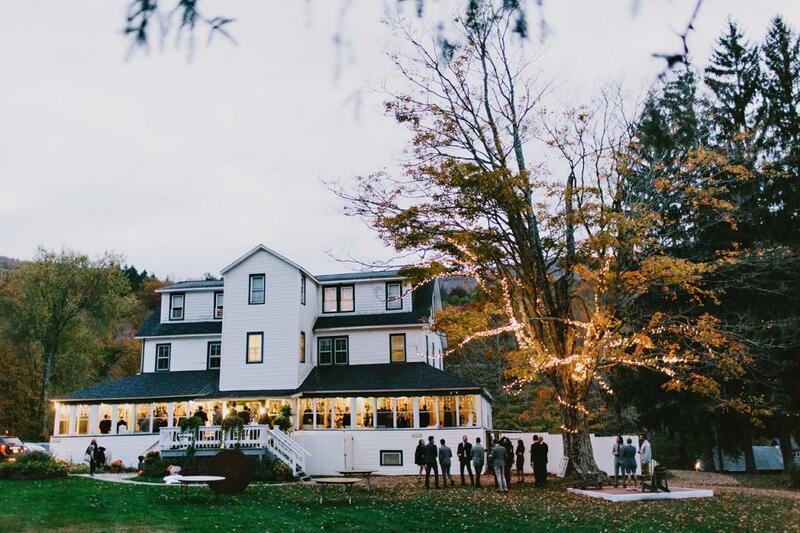 If you’ve found yourself getting wedding fever in the process of reading about cabin fever, this Upstate NY spot could be your jam. 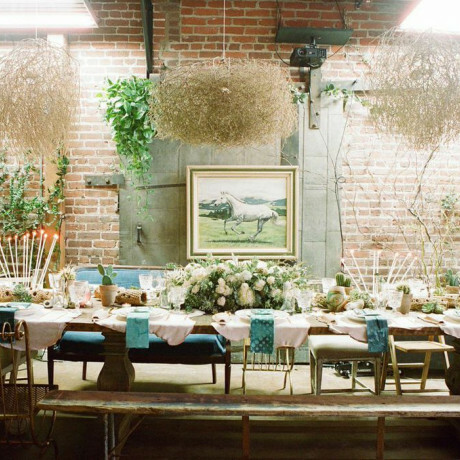 Large enough to host a big group of friends and fam, this spot is super sweet for sharing and celebrating. Feeling like you “Nita” glacier fed lake as part of your cabin getaway scene? Check out this gorgeous lodge in Whistler for a cabin fix that you can bring your whole crew along for. With tons of hiking and biking trails nearby, your outdoor loving peeps will go crazy over this spot. 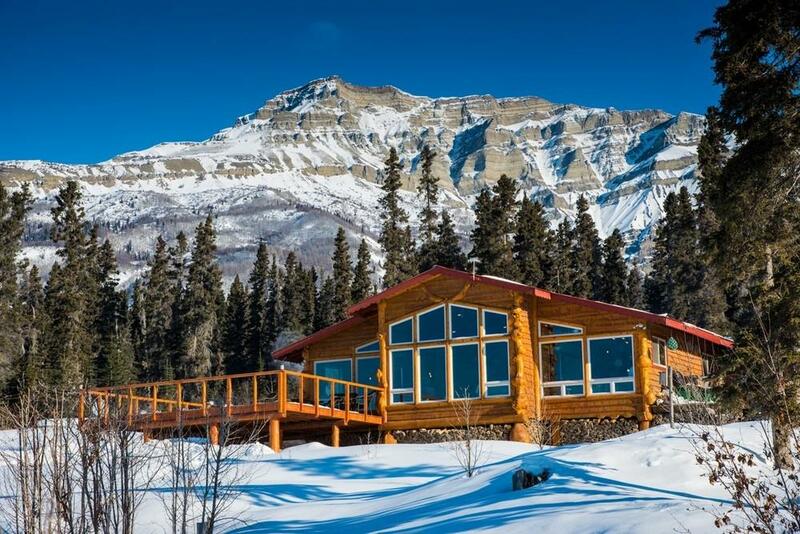 Embark on a true Canadian Rockies experience by staying at Pioneer Cabin. Bordering crown land with wilderness on all sides this is the perfect place to relax, explore and commune with nature in this modern cabin. The Blaeberry River presents opportunites to go on a beautiful canoe ride or adventerous rafting journey. Head outside on a hike or cozy up next to the fire. Set near the the town of Golden you are also surrounded by 5 National Parks nearby. Ski season is upon us again and a luxurious ski getaway is at the top of your cabin fever fantasy list. 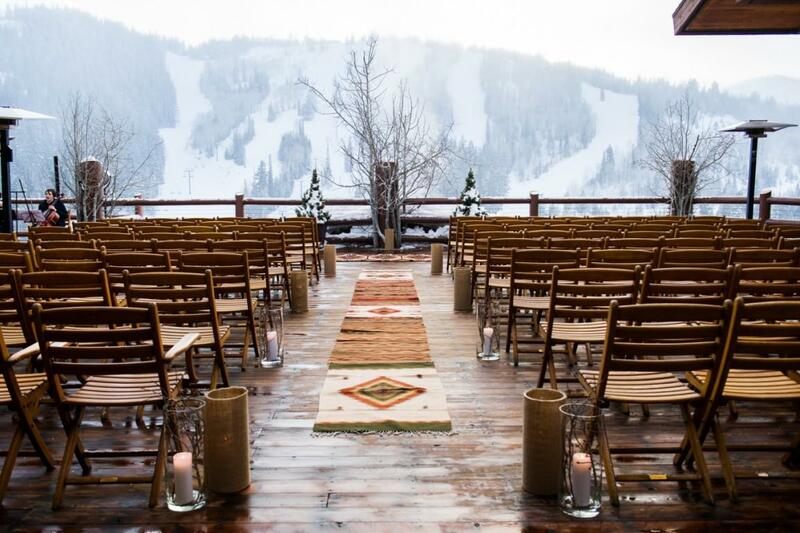 Stein Erikson Lodge in Deer Valley is all about giving you a pampered snow-capped experience. Plus, the views from this perch are just incredibly gorgeous. Why rough it when you can get blissed out in luxury? For those who haven’t made the trek to Alaska yet, you’re missing out. This is the ultimate destination for the outdoor lovers and with all the nearby adventures, Untima Thule will quickly help you kick that cabin fever you’ve been battling.